"Zbigniew Brzezinski is an insider’s insider. He and David Rockefeller co-founded the Trilateral Commission. He served as Jimmy Carter’s National Security Adviser. He may as well have been called Mr. President during the Carter years because he ran the US economy into the ground while undermining American sovereignty during the Carter administration. Many suspect that he also controls Obama. He was, after all, Obama’s Russian Studies professor at Columbia back in the 1980′s. We know that he handpicked Jimmy Carter to become the President and many suspect he had a large hand in grooming Obama for the same job. Brzezinski’sclose affiliation with Rockefeller makes him a person of interest when it comes to the subjugation, of not only this country, but of the entire planet.Brzezinski is obviously the globalist’s man on the ground and serves the role as puppet master. Therefore, we would be wise to listen and to take seriously what this New World demagogue has to say because he and his globalist colleagues are beyond hiding their intentions, they are making their move because they know if they don’t move soon, that too many people on the planet will awaken and stop their tyranny in its tracks. During a speech in Poland, Brzezinski publicly lamented that it has become “increasingly difficult to suppress” and control the “persistent and highly motivated populist resistance of politically awakened and historically resentful peoples.” Brzezinski is clearly referring to us, the people in the alternative media. Whether you have a large following by hosting your own talk show, or you have a large website where you expose the truth, or you simply write on message boards and also alert your family to the tyranny that has overrun our country, all of us are part of the alternative media. None of us are more important than any other freedom fighter. Look in the mirror, you are the last line of resistance to the planned eugenics take over on this planet and we are damned effective! This is why McCain once introduced legislation to fine bloggers $300,000 for “offensive” comments. This is why McCain sponsored another piece of legislation to give away control of the internet to Verizon and Bell South five years ago. This is why we have seen SOPA and Feinstein’s recent attempt to silence citizen journalists. Now we are hearing that the Trans Pacific Partnership is going to give control of the internet, for its member nations, to a small tribunal and this cannot be challenged in Congress. Although it does not often feel like it, we are winning or the globalists would not be interested in shutting us down. Brzezinski’s call of warning to the “global political awakening” has only intensified in recent years. In 2012, Brzezinski also blamed the accessibility of “radio, television and the Internet” for the “universal awakening of mass political consciousness.” This statement is tantamount to admitting that the globalists are losing. 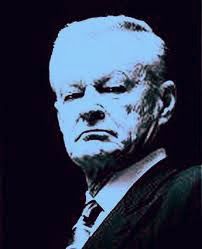 Brzezinski expressed even more of a sense of globalist dread and panic during a 2010Council on Foreign Relations speech in Montreal in which he stated that “the major world powers, new and old, also face a novel reality: while the lethality of their military might is greater than ever, their capacity to impose control over the politically awakened masses of the world is at a historic low. To put it bluntly: in earlier times, it was easier to control one million people than to physically kill one million people; today, it is infinitely easier to kill one million people than to control one million people,” said. There can be no other reasonable interpretation, that this is a direct threat against all who oppose being enslaved and eventually exterminated. We are paying for our own demise. Please allow me to send shivers up your spine. Does it now make sense to your why DHS ordered 2.6 billion rounds of ammunition to go with 2700 armored personnel carriers? Are you finally getting your mind around the fact as to why our government is training 386,000 foreign troops in FEMA Region 3? Even the IRS and the National Weather Service has acquired millions of rounds of ammunition. FEMA and DHS are planning one disaster drill after another over the next six weeks. The frequency of these drills is unprecedented! Is it all starting to make sense now?Also, ask yourself America as to why is NORTHCOM still practicing urban subjugation drills in American towns and cities? They are a combat unit and they are rehearsing going to war with the American public. 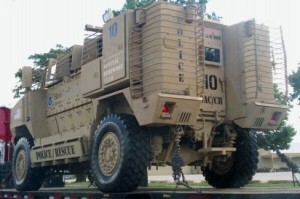 It seems like all federal agencies are preparing for war. Look under the bed, do you see anyone else besides you that they would be preparing to go to war with? NOTE: Readers are invited to read this rather lengthy but informative article along with the readers comments at this website where it is originally published.